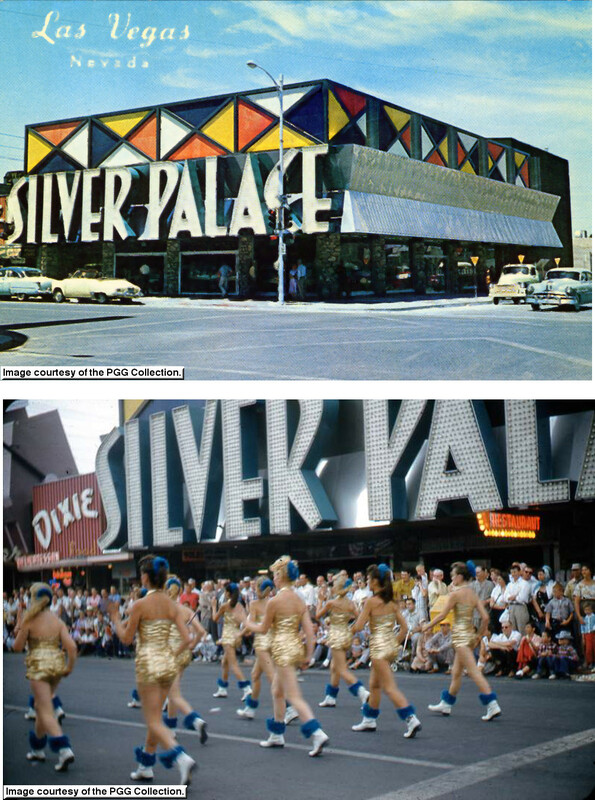 When the Silver Palace opened on June 8, 1956 it was one of the most modern buildings of the time. 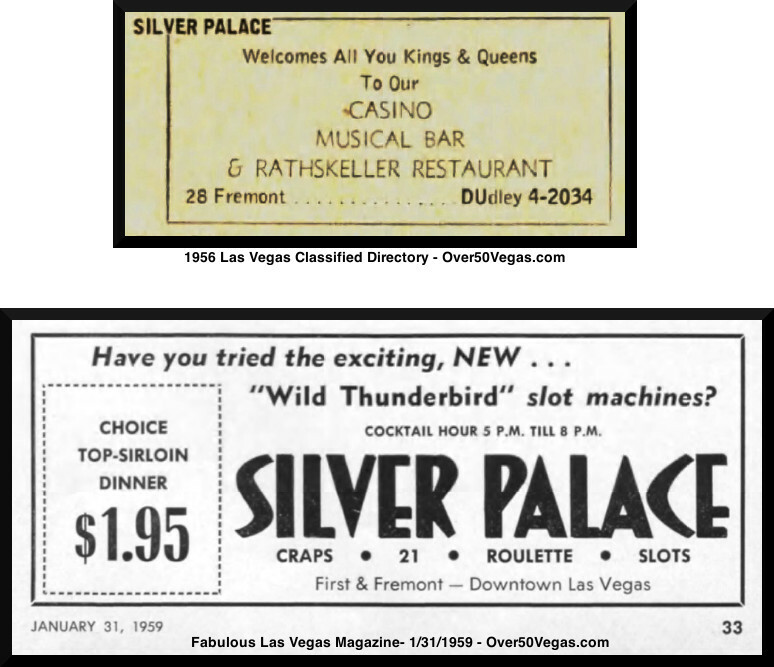 It was the first two level casino in Las Vegas with 16,700 square feet of floor space featuring 200 slot machines, three dice tables, five 21 tables, one roulette wheel and Keno. 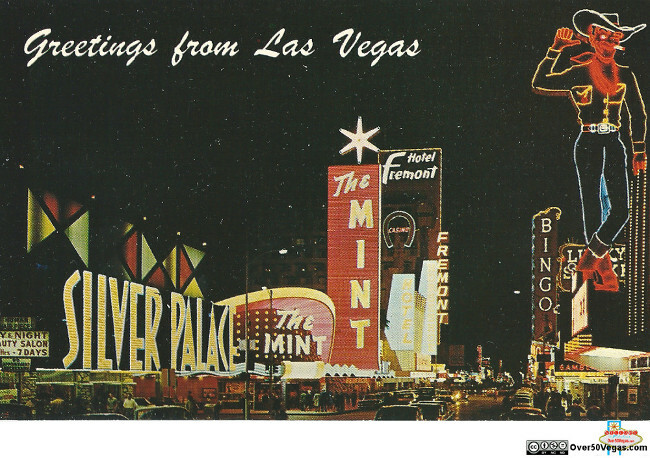 It was also the first to install an escalator. 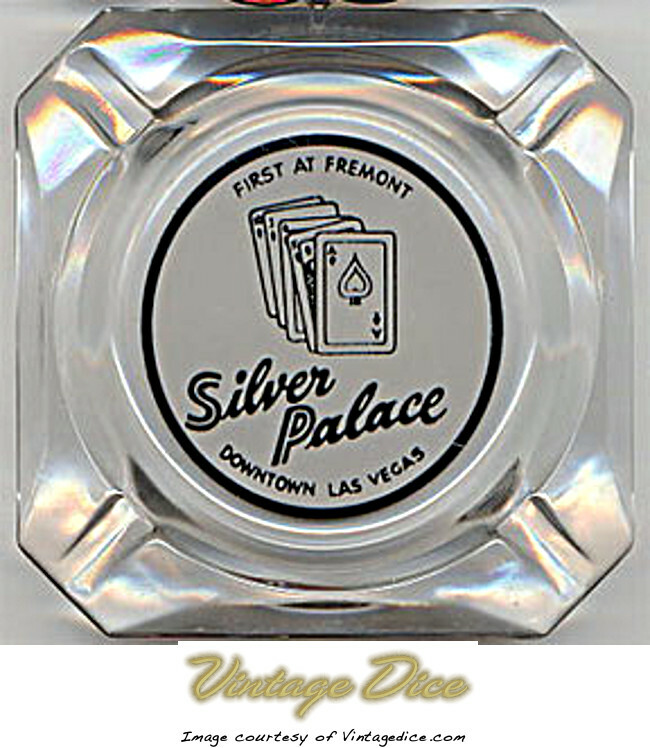 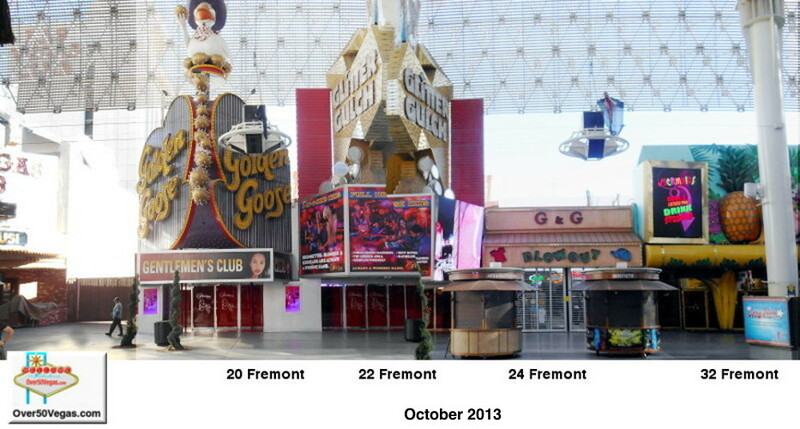 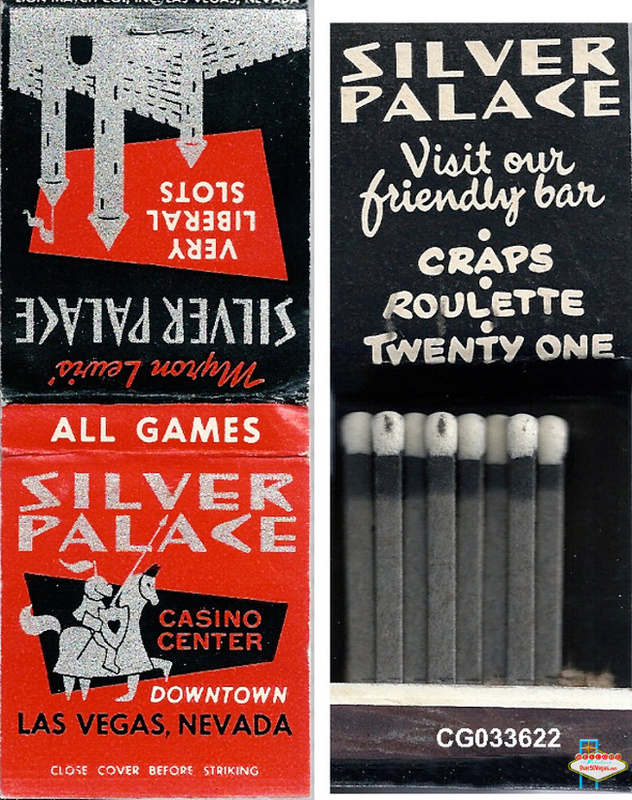 The Silver Palace was owned and operated by the Spinning Wheel Corporation. 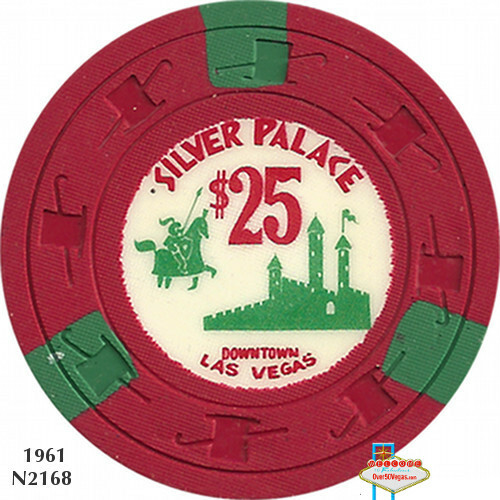 The general manager was Tommy Callahan who 10 years later would be operating the Four Queens. 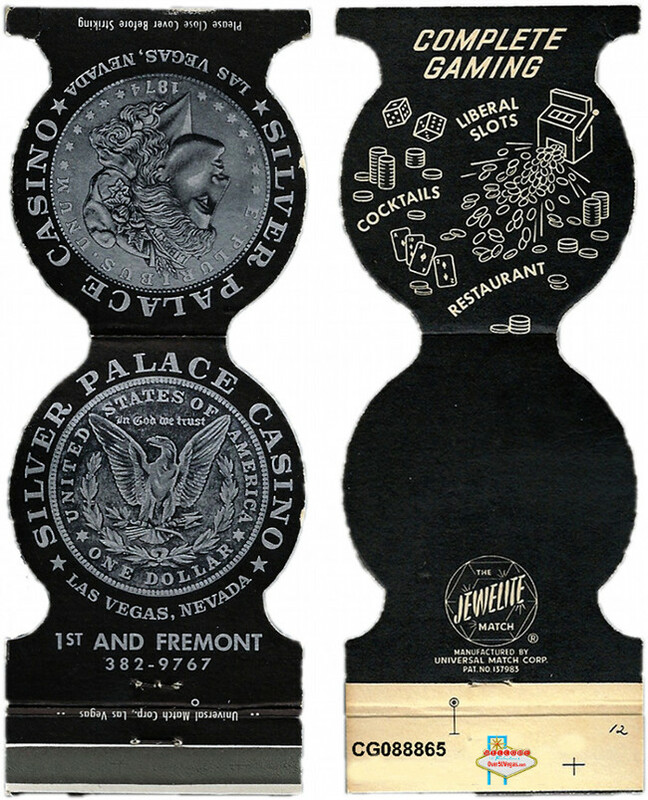 "One of the larger clubs in Las Vegas, with 16,700 square feet of floor space on the two levels, the casino is designed for 200 slot machines, three dice tables, five 21 tables, one roulette wheel and Keno." 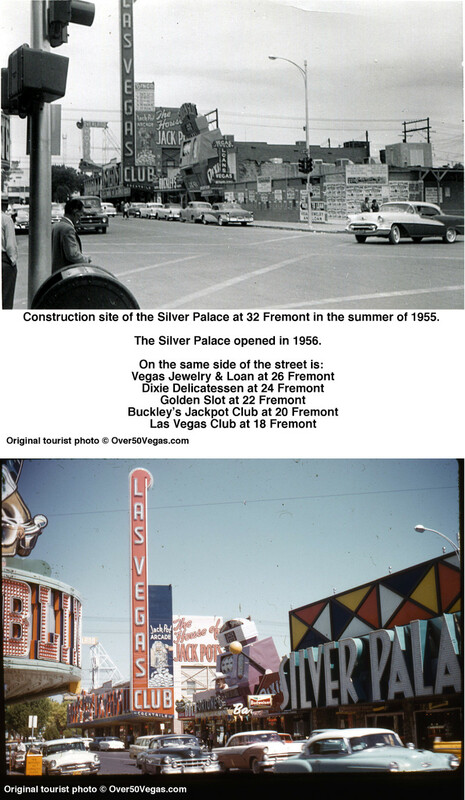 This original tourist photo shows the Silver Palace at 32 Fremont beginning construction in the summer of 1955. 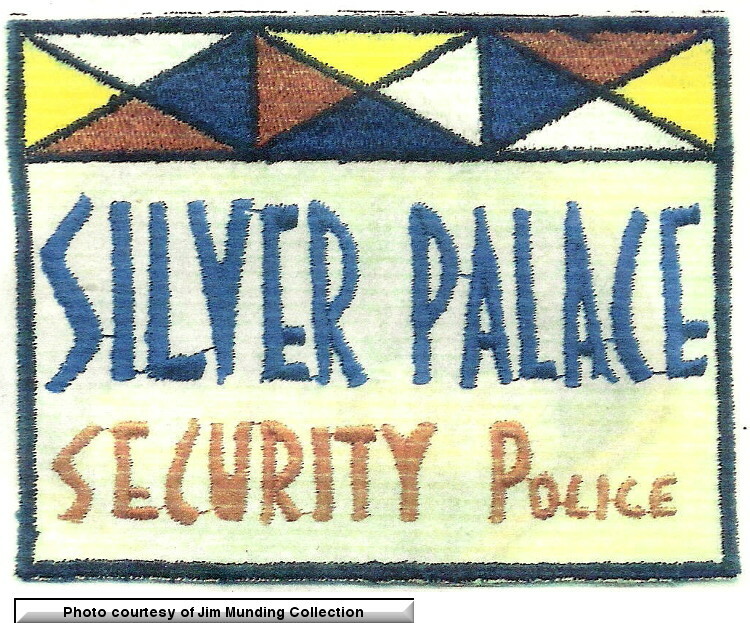 Silver Palace Security Patch from the Jim Munding Collection. 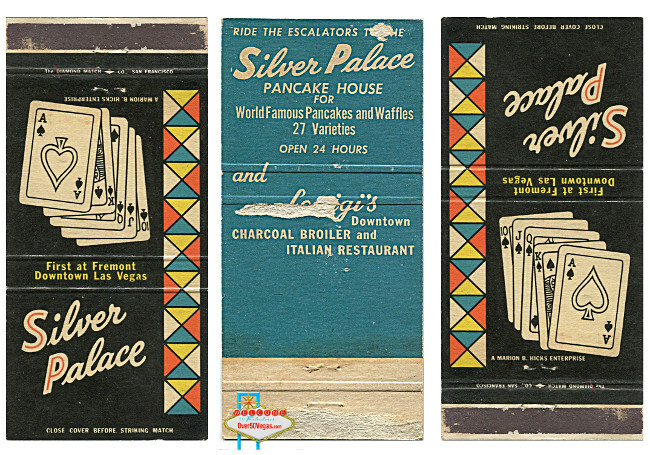 A postcard and an original tourist photo with great views of the Silver Palace from the PGG Collection.